Our clients are our Top Priority. If you’re looking for professional service and expertise, then you’re in the right place. We have all of the latest marketing tools at our disposal to help you sell and buy a home seamlessly. We promise to meet your highest expectations in any real estate transaction. As you look around please remember that your privacy is extremely important to us and we guarantee that it will be protected. Nelly and her administrative and marketing staff are all dedicated to providing clients with results and top-quality customer service. We listen carefully to understand our client’s real estate needs and work hard to create solutions that make sense. Whether you are new to the market or are an experienced investor, we have the expertise, the proven track record, and the resources to help you achieve your real estate goals. As is often tossed around, real estate is about Location Location Location. 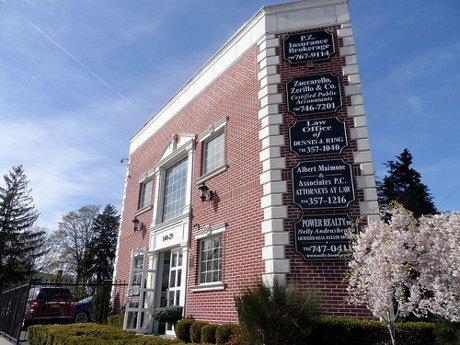 Well, with twenty-five years and over five-hundred transactions closed in the Whitestone area alone, we think it's fair to say we have extensive knowledge of Whitestone and the surrounding areas. Watch out for everything we touch . . . turns to sold! Nelly Andrushenko concentrates on the residential real estate of northeastern Queens, New York. Her integrity has helped chisel her solid reputation which has brought her recognition as, not only an expert on the Whitestone Real Estate residential market (NYT, Newsday) but as one of the top-producing real estate brokers in the country. Nelly specializes in residential sales in Whitestone, Beechhurst, Malba and the surrounding areas of northeastern Queens, New York, with expertise in luxury and multi-family properties. Nelly is also a designated Seniors Real Estate Specialist, the Owner of Power Realty Inc., a residential real estate brokerage equipped to provide its clientele with a high-end boutique experience. "Nelly was a pleasure to work with and a true professional. She always made herself available and was able to guide us through what can be a very confusing process. I'd highly recommend Nelly's services and will use her again for any future real estate transactions." "Nelly is an extremely professional and knowledgeable Real Estate Broker. She sold our home within two weeks from the listing date. Nelly made the whole process very smooth, and we are very pleased with our experience with her."